narcoleptic in a cupboard: Finished 2012! Ahh the last Finish Along with Rhonda at the Gap... Thank you Rhonda, you've done an awesome job. I shall be playing along again next year, joining in with Leanne too! A massive effort was put in to make this final quarter a better, more successful finish along effort. Well, third quarter and no finishes was just pitiful! So, this post will be a quick list review (and blatant excuse for putting lots of pretty pictures on my first 2013 blog post). 1. The Mouthy Stitches Triangles Tote. 3. Sirrius - This is a finish, but its a finish for mum so if this entry wins anythin I promise cross my heart it will go to mum! 5. the Embroidery rolls - FAIL. What's more, they're never going to happen. Well, I love mine, but there are so many other patterns out there and looking at them I'd choose to make them over mine any day so, no, not gonna. 6. 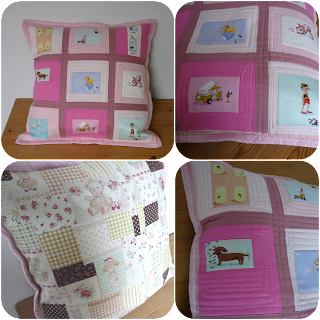 EPP cushion. Done, sent, recieved and I do believe liked! 7. Supercute girly cushion for besties wee angel, done :-) Girly enough for you?! 8. The last mini. Done. Nuff said. "And I have my own Stained II to finish but I'm not putting it on the list cos that seems to jinx it..."
Cos its done and now I cant include it... Oh well, I am still relieved to have finished it. Six out of Eight! That'll do pig, that'll do. Wow, 6 of 8 is wonderful! And they are all so lovely too, good work. Wow I think you deserve the prize for all that beauty in one post! Great finishes, I think I'm gonna have to join in this year, but I'm too scared to count ALL my UFO,s like Katy! Great job - these are lovely! Oh you did good. Love seeing that tote again too. Everything you do is unique and inspired. You did just great!! Beautiful finishes. Yeah I feel your pain ! 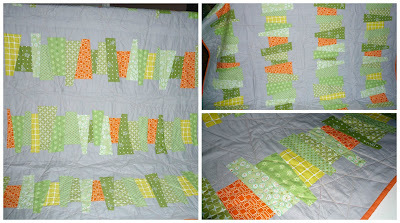 I did nothing in q3 and didn't include a couple of things I have finished too! But there is still next year - er I mean this year! Six out of eight - well done! 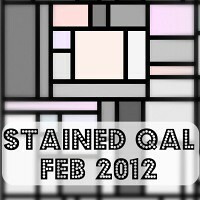 *clapping and cheering* Pity you can't go back and amend your Q4 post to include Stained II ;o) I honestly can't see me finishing anything this year, not anything larger than a pin cushion, anyway! Wow that is incredible!!!! I have been shoutin' from the rooftops since the beginning of 2012: "aim high when makin' your pre-quarter lists because ya just never know what might happen" now when I say it I can link back to this very spot!!! Hehehe! I love ya girl and you have done a great job!!!! Well done dear friend! Holy wow thats a lot of finishes! Love the pattern of number 4! Hi, Sarah. Impressive post to start 2013. All your projects are beautiful, even the one you claim is poorly finished--it's got such a neat design. I'm in love with your purses. 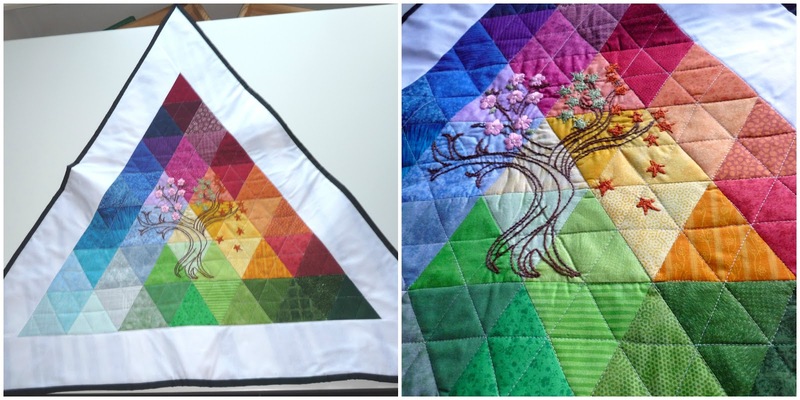 Also enjoyed seeing your stained glass quilt in the previous post and all the different versions of it. 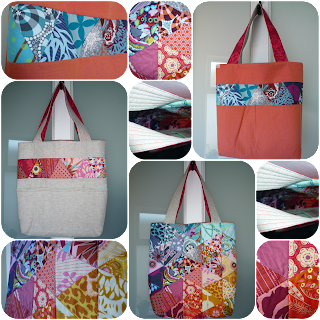 And may the new year bring you many more stitching adventures that get finished! You've got some really sewing there, even if it's not all finished. I love the way you combine colours in your projects. Happy New Year! Great finishes! What a lovely way to finish 2012! 10 second attention span, me?